Located in the northern part of the continent, it extends from the Atlantic to the Pacific and northward into the Arctic Ocean, offering a range of stunning landscapes. Canada has some amazing Ski resorts which are popular not only in the winter such as The Rockies in British Colombia. Whistler, just two hours inland from Vancouver, is a major ski destination through to May. 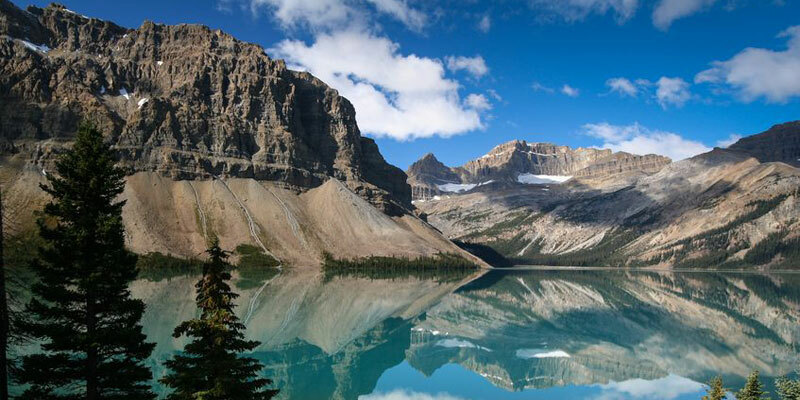 Banff in the Canadian Rockies, offers spectacular scenery and activities from Skiing to sleigh rides. A popular summer holiday destination is Vancouver Island, which offers beautiful coastline and spectacular scenery. Is ideal destination for anyone seeking a variety of experiences from soft or extreme adventure, wildlife or just some relaxation. Canada has some spectacular cities which are popular tourist destinations such as Toronto, Montreal, Vancouver, Ottawa etc. The most famous attraction within Canada is Niagara Falls, impressive waterfalls on the border of Canada and America. Montreal is a city in the Canadian province of Quebec and the second largest French-speaking metropolis in the world. The historic city centre is packed with museums, shops, restaurants and beautiful grey stone architecture along cobblestone streets. It is a beautiful city to explore. The city of Vancouver is a popular holiday destination in the summer and winter months with its city centre attractions and skiing available on Grouse Mountain in North Vancouver. Downtown Vancouver has range of restaurants, bars, pubs and nightclubs available.